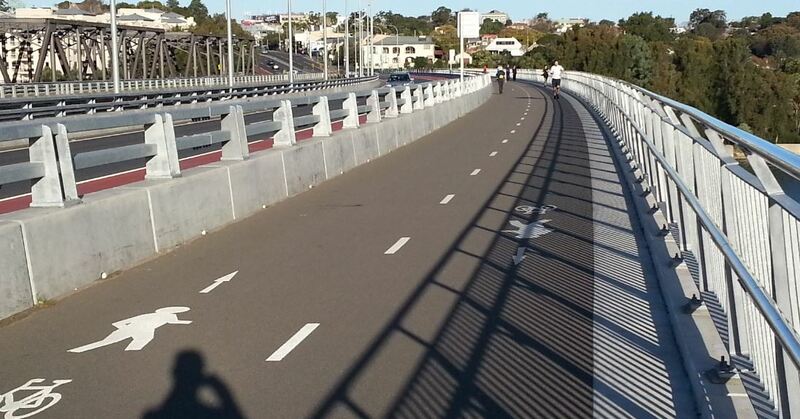 I was riding home on Wednesday this week when a friendly oncoming cyclist on Pyrmont Bridge warned me that there were police at the end of the bridge pinging helmetless cyclists. I thanked him, and then rode on, keeping a lookout. I was expecting to see the usual bike cops, but saw there was a squad car parked on the junction, with two officers standing on the pavement nearby. 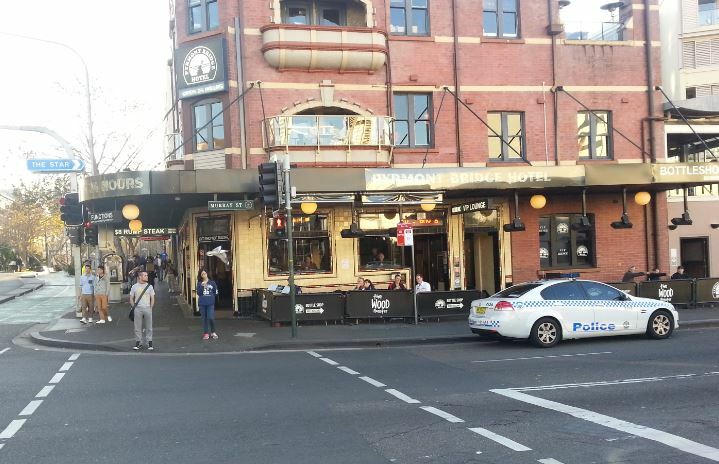 I jumped off my bike and walked across the crossing, to avoid a tedious helmet conversation, and once on the other side paused to see what the police were doing. The first thing I saw was a pedestrian being ticketed for jaywalking. Shortly after that, a car turning right out of Darling Drive went through a red light. The filter light on that lane is only lit for a short time, and it’s frequently not enough time for the queue of cars to get across. So it’s pretty much a dead cert that someone will push through as it turns red. In this instance, I think probably two or three cars went through as it changed, with the last one evidently being well after it had gone red – indeed, he was so late going through that the pedestrian / bike crossing had gone green and a swarm of pedestrians were already in the road. 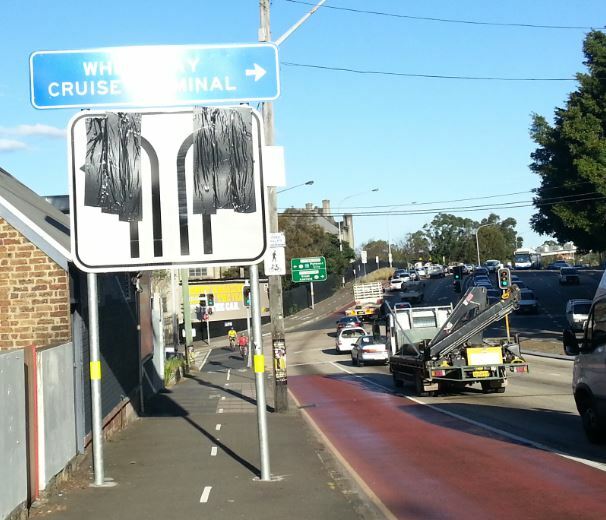 This meant he got stuck in the middle of the junction – as it happens, slap bang over the bike crossing that links Pyrmont Bridge with the Union St cycleway. This posed some problems for cyclists; either they had to ride around the rear of the vehicle, uncomfortably close to the oncoming traffic now coming out of Pyrmont Bridge Rd, or go around the front of the car by riding on the pedestrian part of the crossing. 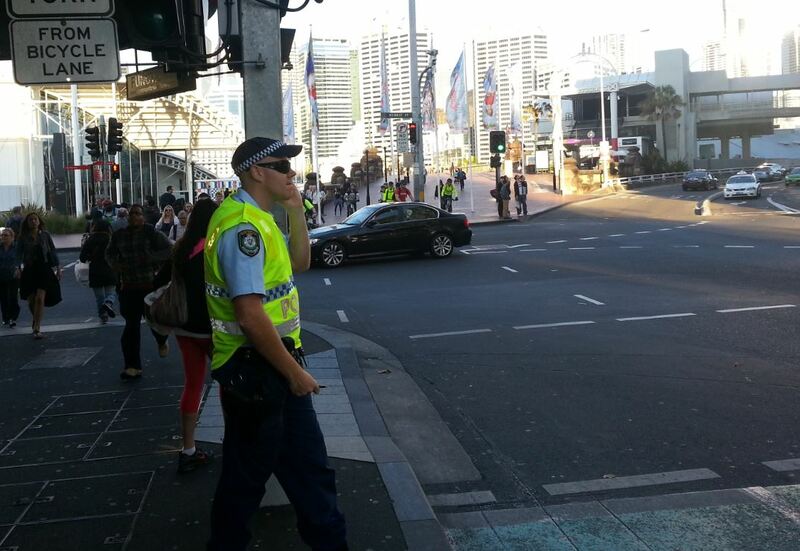 In the picture above, you can see one cyclist doing exactly that – look for the flash of hi-viz behind the cop’s arm. The car was stuck in the middle of the junction for quite a while whilst the crossing cleared (in the pic the ped lights have gone to flashing red and the car is still there), with two cops on the pavement, one each side of the crossing, perhaps five metres away from the vehicle. As the crossing cleared, the motorist drove away, with neither cop making any effort to speak to him, pull him over or capture his rego. After the cyclist had ridden away, I took the opportunity to speak to the officer about his actions. 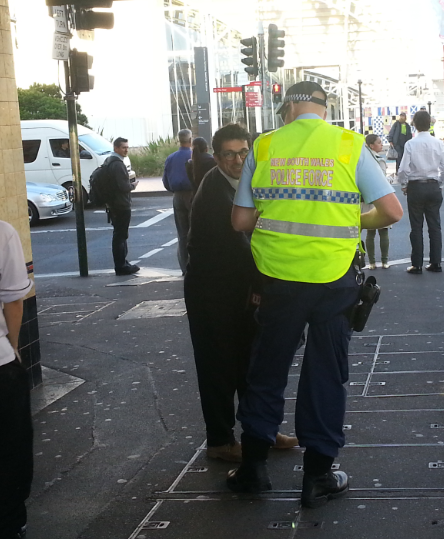 He was very pleasant and courteous, and basically acknowledged that the cyclist was ‘the unlucky one’. I did gently press him about the motorist, pointing out that a car driving over a red light and towards a crowded pedestrian crossing perhaps posed a greater danger than a lone cyclist trying to get around an obstruction, and the cop did agree that, yes, the behaviour of the car driver was more dangerous. He also agreed that he’d seen lots of cars jumping that particular red light. Internally at this point, I was shouting, ‘so why on earth didn’t you walk the five paces over to the car when it was stuck on the crossing to talk to the driver, instead of pulling over the cyclist?!!’. However, I kept that thought to myself. The cop went on to say he was a cyclist himself, and hated it when car drivers do that kind of stuff, and that poor driving around cyclists really annoys him. Not enough, it seems, to translate into action when he is on duty. He also said they were positioned there because there had been lots of reports of conflict between cyclist and pedestrians in that area. The reason for that, of course, is due to the phasing of the lights. Cyclists and pedestrians get far too little green time, meaning that a large group of pedestrians builds up for each signal change – and many of them end up spilling into the bike lane simply because the crossing is not wide enough for that number of people. Approaching cyclists, for their part, knowing that they have perhaps three seconds of green to get onto the crossing before they will be forced to wait another four minutes for the whole cycle to go around tend to speed up when they see the crossing go green. Speeding cyclists anxious to get onto the crossing and a sea of peds spilling all over the road – hardly surprising that there’s conflict. The number of pedestrians and cyclists at that junction at peak time far exceeds the number of motorists, of course. And yet the motorists get the vast majority of the green time. Simply putting in another pedestrian green phase in the middle of the cycle would probably solve most of the conflict issues, and save the police time and money having to patrol there. But that might cause a precious motorist to be held up for ten seconds longer – which clearly can’t be allowed, can it? 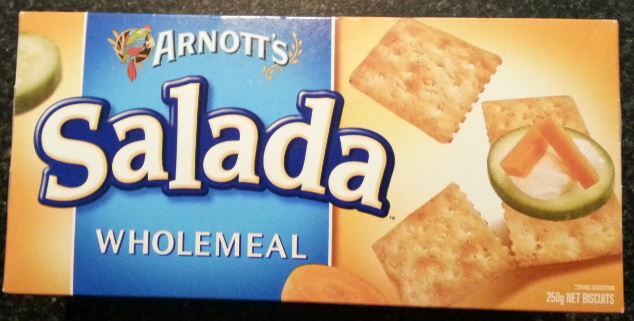 Another day, another cheesy biscuit review – this time the Salada Wholemeal. I think Mrs Chillikebab bought them for me because she thought they might be healthier than Cheds, a biscuit that I eat far too many of. The pack for some reason has a slightly budget look about it – all a bit gaudy. Perhaps they are cheap; I have no idea as Mrs Chillikebab attends to important matters such as biscuit buying – and no, dear readers, not out of some gender stereotyped oppression on my part, but because she knows that if I did the biscuit shopping we’d end up with a cupboard full of Mint Slices, Sultana Chocs and Cheds, but no milk for the kids and no chocolate for her. Each Salada is large, at a full 95mm across. 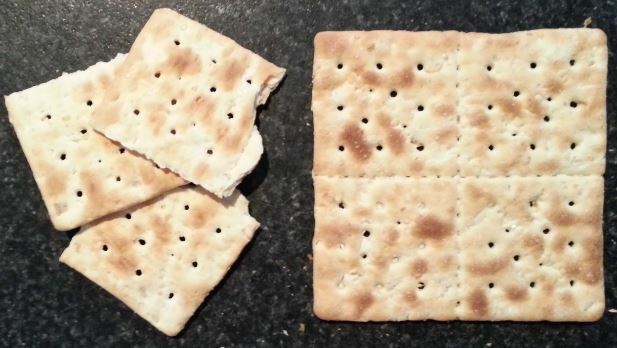 However, if the thought of such a gargantuan biscuit troubles you, fear not as it is helpfully perforated allowing you to break it into four pieces. You can see the wholemeal flecks embedded in the biscuit, and they have quite e high bake, so are nice and crunchy. They are actually quite tasty – plain, but quite acceptable to eat on their own, as they don’t have the mouth-drying qualities of say a Sao. That high bake also means they retain their crunch even in the presence of a tomato slice or some cucumber – which perhaps is why they are called ‘Salada’, The wholemeal pieces also add some nice texture, even if they do get stuck in your teeth. But are they healthy? Well, one other thing you will note if you try them is that they are quite salty. Now, I’ve nothing against salty snacks, but these are somewhat saltier than you might expect. They have more sodium in them, for example, that the aforementioned Cheds – even though those taste superficially saltier. This saltiness means they go better with a buttery, mellow type of cheese (think Gouda or double brie) than with with say a Danish Blue or a tangy mature cheddar. I’m going to give these a seven out of ten. If you don’t ride a bike, you’ll think I have my knickers in a twist about this. 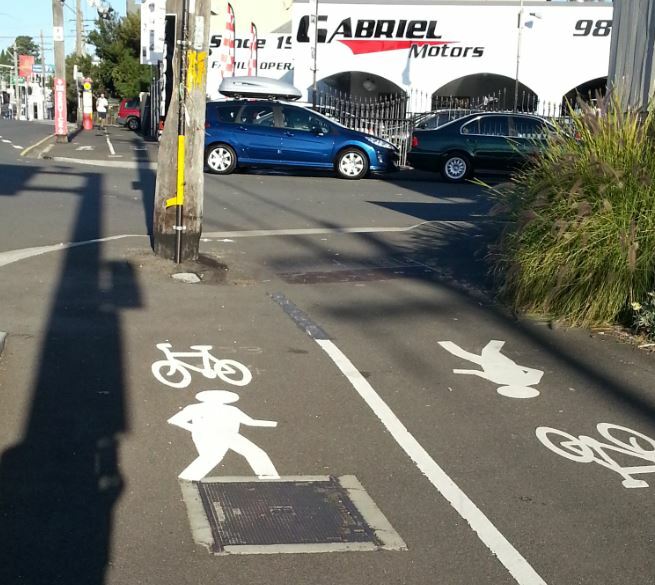 If you regularly ride a bike in Australia, this will make your blood boil. It’s the latest ad from Holden for some new car of theirs (click here to watch). Well I’m sorry Holden, but your comments just don’t wash. This ad clearly depicts careless and dangerous driving, even if its not immediately apparent to a casual, non-cycling viewer. Let’s take a look at it frame by frame. Perhaps someone from Holden’s marketing department would like to ride a bike down the street whilst I drive my car behind then two metres off their back wheel – let me tell you, it’s pretty terrifying. It’s also illegal under Australian Road Rule 127. The driver does not then stop to render assistance to the cyclist, or check he is OK – instead he just drives off. Whilst most Australian drivers are thankfully much more observant and much more considerate than the driver in this ad, it is a sad fact that there is a tiny minority out there who think cyclists are ‘fair game’, and will deliberately drive at them, drive close to them and in some cases even force them off the road. These incidents are of course rare, but anyone who has cycled in Australia for any length of time will probably have experienced this type of thing at some point. For Holden to be glorifying and legitimising this kind of hoon behaviour is utterly unacceptable – and simply shrugging it off as ‘tongue in cheek’ is not good enough. Sure, make an ad that pokes bland cars in the eye. But don’t try to claim it’s funny when someone exhibiting careless driving puts a vulnerable road user in danger. You can make a complaint about the ad here, if you feel moved to do so. The Mr Men. 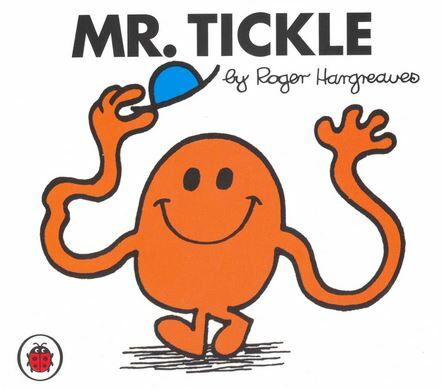 Or Mr. Men, as Hargreaves would have it. I remember them from my own childhood – I am pretty much a contemporary of them, and I recall how the number of Mr Men Characters grew as I went through primary school. I have been reacquainted with them recently, as Little Girl Chillikebab was given the complete set – complete with presentation box – for her birthday. Accordingly, the antics of Mr Clumsy and the redemption of Mr Mean have become staples of bedtime story time. Actually, it really is quite remarkable how quickly a three-year-old can remember all the different characters. There are over forty of them, yet it seemed to take no time at all for my daughter to recognise every single one of them. She really enjoys them, which I suppose makes them a hit as children’s books – we read them over and over. I, on the other hand, am starting to tire of them slightly. They are somewhat formulaic, and whilst reading them I find my mind wanders, and starts considering such matters as just how many of the books feature a Mr Man with an unpleasant character trait, and who by being taught a lesson by a variety of shopkeepers, farmers and wizards becomes a reformed character. And how many of them involve the Mr Man trying out lots of jobs before they hit on the perfect career. 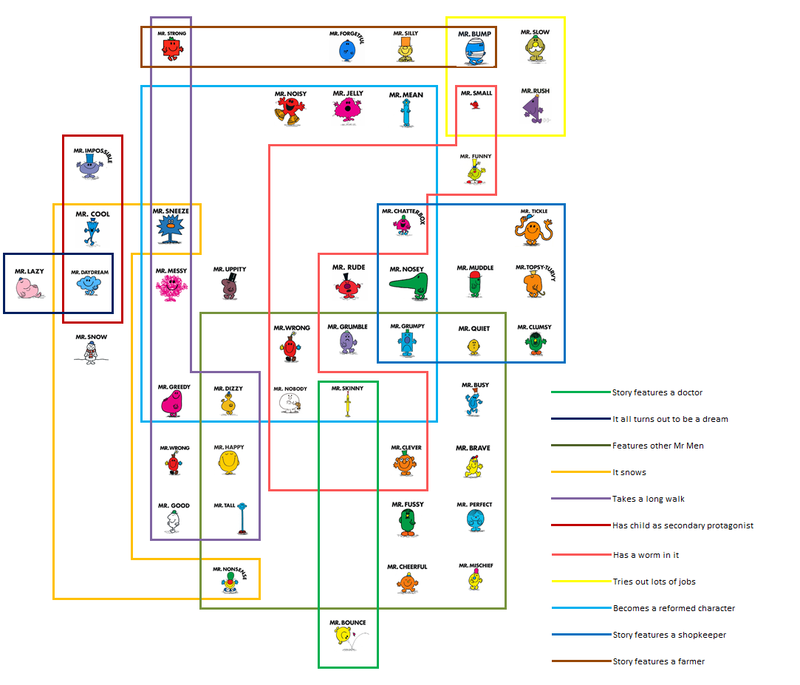 Well, one evening when Mrs Chillikebab was out, those thoughts crystallised in my mind, and fuelled by several pints of Fullers London Pride (how our lives have been transformed since we discovered you can buy Real Ale online in Australia) I created this infographic to capture how the various Mr. Men plots, devices and ancillary characters come together in the books. In a moment of madness, I bought Mrs Chillikebab a bike for her birthday. Her first bike since she was twelve years old. You can read about the lead up to this, and a review of the actual bike in part 1 of this blog post. She was, it’s fair to say, rather shocked. Flabbergasted, indeed. Not at all what she was expecting. After she had recovered her composure, she gamely smiled and said thank you. ‘It’s very big’, she noted. And indeed it is a very imposing bike; those high handlebars do give it some presence. Although any bike looks quite large in the middle of a small-ish lounge room. After walking around it, Mrs Chillikebab sat astride the saddle – but was unable to reach the floor. ‘I can soon sort that out,’ I said, and went to get my tools to lower the saddle. Then Mrs Chillikebab gently reminded me that I was supposed to be cooking her a birthday breakfast, so I left the bike and attended to my other duties. Grilled English muffin topped with pan-flashed smoked salmon, a soft-poached egg, finished with a dollop of creme fraiche and some snipped chives. Lovely. Later that day, I got around to lowering the saddle. It wasn’t altogether successful, as the bike was fitted with a rather fancy suspension seat post, which limited how low the seat could go. It also had a very nice sprung seat that sat quite high on the rails. I pondered this for a while, with a slight sinking feeling in my stomach. The problem with Dutch bikes is that they are designed for confident riders. Everyone rides a bike in Holland, so they make then nice and comfy and tall. It’s not a major problem if you can’t really get your foot on the floor- you just shuffle off the seat as you stop. Later that day, she did have a go. She asked me to take the bike into the back garden, and she rode it around the grass. Which I thought was quite good, considering how bumpy the grass is, and how many obstacles the kids’ toys create. But she was still uncertain about the height of the seat. She did say though that she did want to start riding – she knew it would be good for the kids to see us both riding and set a good example – she just wasn’t expecting it to be right now! Later that week, I switched the suspension seatpost for a regular one, and the pouffy saddle for the rather flatter one from the Radish. This lowered the seat considerably. Mrs Chillikebab was much encouraged that she could get her feet down without stretching, and rode it around the garden again. And then the Gazelle went back into the garage. And there it stayed. For a long time. I had already decided what my strategy was going to be for this bike. I was not going to pester, suggest or even encourage Mrs Chillikebab to ride it. I certainly wasn’t going to offer any advice nor suggest I shepherd her on her first ride. I just told her that the bike was in the garage for her when she was ready – tomorrow, next month, in five years time or never. And I left it at that. This strategy did wobble a little when Mrs Chillikebab opened the Mastercard bill. Hand-built Dutch electric bikes don’t come cheap. We had a slightly difficult conversation. Bit we got over it. There then followed occasional comments that got my hopes up – Mrs Chillikebab commenting that the weather was nice, and perhaps we could all ride to the park tomorrow. Or mentioning that perhaps she should get her bike out and try it out. But each time something happened to break those gossamer plans. Unexpected rain. Sick kids. Unforeseen guests arriving. And the weeks ticked by. It was brought home to me how many weeks when, after putting some air into my own bike tyres, I felt the Gazelle’s wheels and found they were very soft. Poor neglected thing – tyres going soft without ever actually going round. I powered up the electrics, and the display glowed warmly, showing the still fully-charged battery, and the seven solitary kilometres the bike had ridden on its inaugural and only trip back from the shop. Some three months on from Significant Birthday +1, and the Gazelle seemed forgotten. Rarely if ever mentioned. And then providence struck, in the form of the unreliability of the internal combustion engine. One bright, unseasonably warm Sunday morning, we bundled the kids in the car as usual to take them to their swimming lessons. It’s only a few kilometres to the pool, but the car is, unfortunately, the only was we can all get there. I turned the key in the ignition – and nothing happened. Tried again. Nothing. Mrs Chillikebab turned to me. ‘We could go on our bikes,’, she suggested. Quick as a flash, before the moment passed, I had the Radish set up with both kiddie seats on, and rolled the Gazelle out of the garage. And we were off! I pedalled along, and Mrs Chillikebab followed behind. 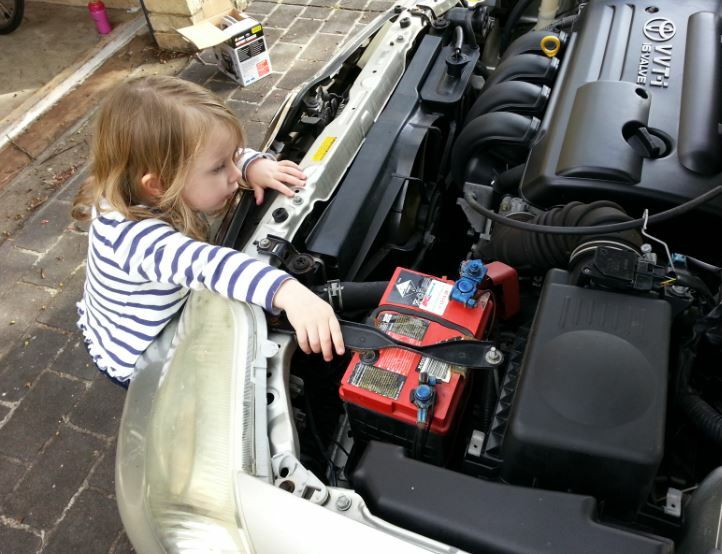 I’d advised her to put the bike into ‘boost’ mode, but she actually found that a bit disconcerting, as the motor was trying to push the bike along faster than she wanted to go, so we dialled the assistance back a bit and carried on. We took it nice and easy. 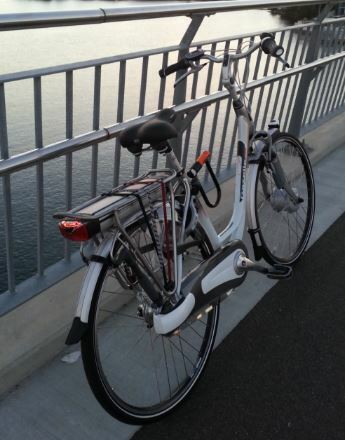 I was aware that riding on a busy shared path was exactly the situation Mrs Chillikebab had expressed nervousness about – and the route to the aquatic centre was just that ; a cruise around the Bay Run. But everything was fine, and we pedalled along enjoying the sunshine. Well, I was and the kids were. Mrs Chillikebab looked a bit petrified to be honest. But we arrived, the kids had their swimming lesson and all was well. On the way back, Mrs Chillikebab seemed to be getting more confident, and even smiled back at me a few times. The children were really excited that Mummy was riding her bike too, and wanted to see her. However, Mummy was happier following behind – until we got into the very last stretch, into our own street. Suddenly the Gazelle was there riding past me, a grinning Mrs Chillikebab resplendent as she sailed up the hill leaving me struggling behind, panting with effort. Time will tell if this is part of a cycling renaissance, or a flash in the pan. But it certainly made me happy. We had been for a ride as a family. Which has to be a good thing. 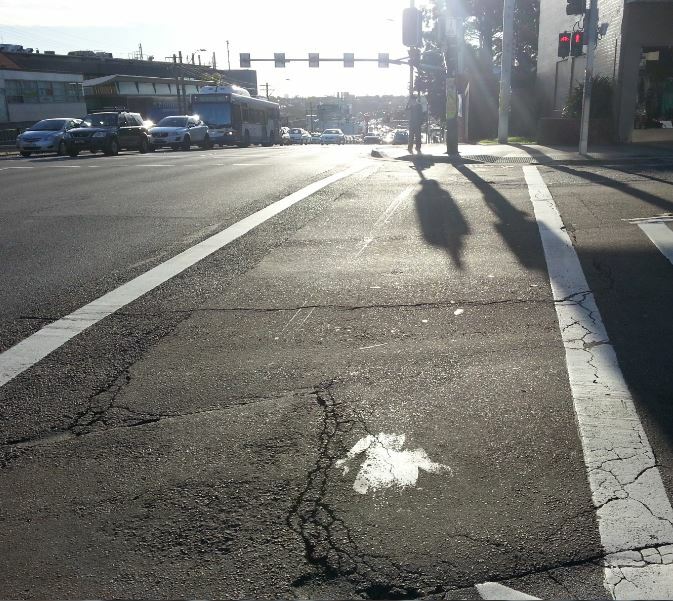 I was prompted to put this piece together when a journalist acquaintance of mine who happens to write a cycling blog in the Sydney Morning Herald asked for examples of terrible cycling infrastructure to illustrate an article he was working on. Well, the prize for worst infrastructure on my regular routes has to be the Victoria Road SUP (Shared User Path). A few years ago, this arterial road was upgraded at huge expense; an extra traffic lane was added, bus lanes marked, a new bridge built and the whole road upgraded and re-sheeted in smooth asphalt. It cost many hundreds of millions of dollars. 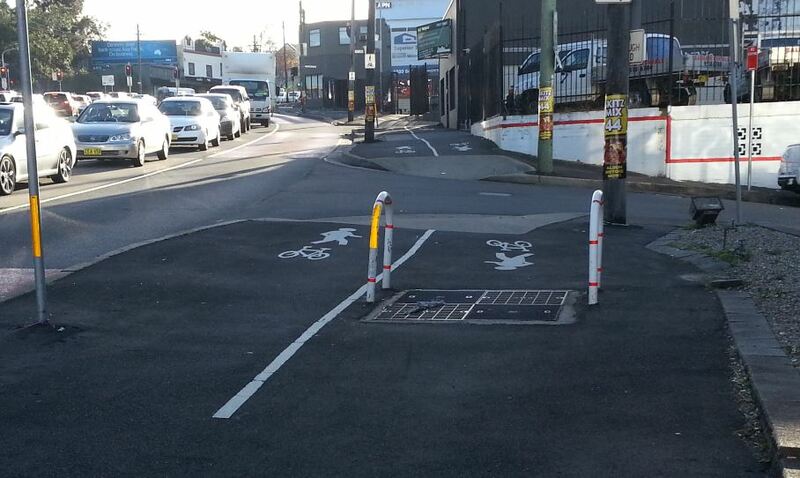 So what provision was made for bicycles was made as part of this upgrade? Well, apparently the budget ran to a large tin of paint, and a few man-hours putting lines on the footpath. 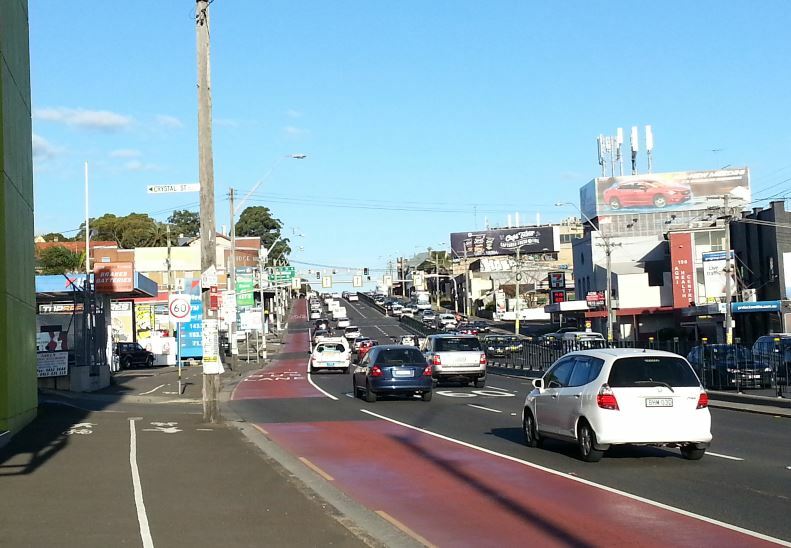 Lets take a look at some of the wonders of this major arterial cycling route. Here’s the first thing you come to at the White Bay end. (Well, actually it’s not the first, but there are just too many things to include them all.) When they painted the white lines on there, do you think anyone thought to ask, ‘How’s this going to work with a bloody great pole in each lane’? The answer, obviously, was to put a reflective stripe around each pole, to warn cyclists who may have thought that the white lines were in any way a guide as to where to ride. Having dodged all the poles at eye-level, clearly the RMS think another tack is needed to trap unwary cyclists – like these knee-high hoops. Sometimes a sticker appears on those hoops, documenting when they were first reported as a hazard, and how many times they have been reported since. I applaud the mystery documenter in his or her disheartening work, although can’t help hoping they get a bit more militant and simply take an angle grinder to them. There are many other examples of poles in the middle of the ‘lanes’, such as this one a bit further up. Note also the high-quality of the surface – full or ruts, bumps and pot-holes. If you thought you could cycle through those posts, by the way, be aware that it leaves about 2cm knuckle clearance on each side. Unless you have wider bars, in which case the bike will come to a sudden halt. This is not all that clear to see, as the sun is in the lens, but marked on this pedestrian crossing is a line and some symbols to demarcate the right of the crossing for pedestrians, and the left for cyclists. That left hand side neatly directs riders to a very high curb with no ramp – which were you to unsuspectingly hit would mean you would pitch over the handlebars and straight into the pole that is directly in front of you. No wonder we need mandatory bike helmets in Australia. 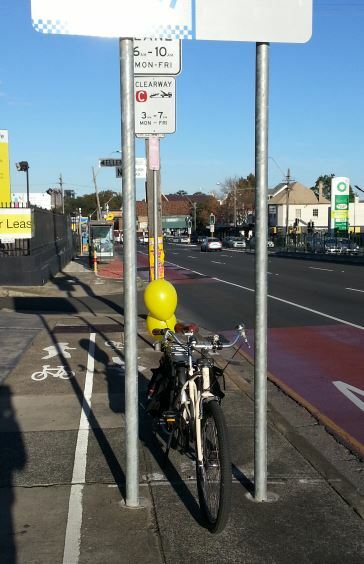 Not content with the number of obstacles for cyclists, the RMS recently put in some more poles, including the two holding up this sign. This means that at the very moment you’d like to be on the far left of the path, in order to get the best sight-line into the servo to check for exiting vehicles, you have to go to the right. This means you can’t see cars exiting, and the drivers of those cars can’t see you. The van pulling out in this picture is about where cars pull out to before they stop to look. That’s about where the poles force you to ride. There’s lots of bus-stops along this route, and they all are a disaster. In some cases the path is routed behind them, which narrows the path down so much it’s hard to walk past someone coming the other way, let alone ride past another cyclist. But this design is even worse; it pretty much guarantees cyclist / pedestrian conflict. I am now quite adept at looking for feet in the gap at the bottom of the advertising hoarding to see if there is anyone in the shelter who is liable to step out as I ride past. The RMS are apparently aware this design is sub-optimal, so have helpfully fixed it by putting a ‘slow’ sign ahead of the problem. 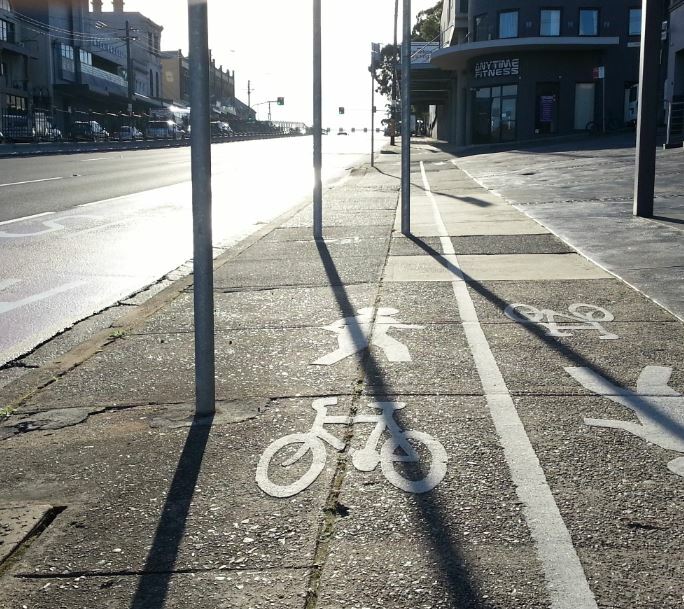 Apparently in a few places the RMS did realise they got it wrong – in this instance a path that directs cyclists straight into a pole. So they have cunningly scrubbed out the last few metres of the white line. Problem solved! Here’s the view back up the hill. Yes, you can indeed see four or five smooth traffic lanes. The SUP on the left is virtually invisible, hidden behind a sea of poles and signs. 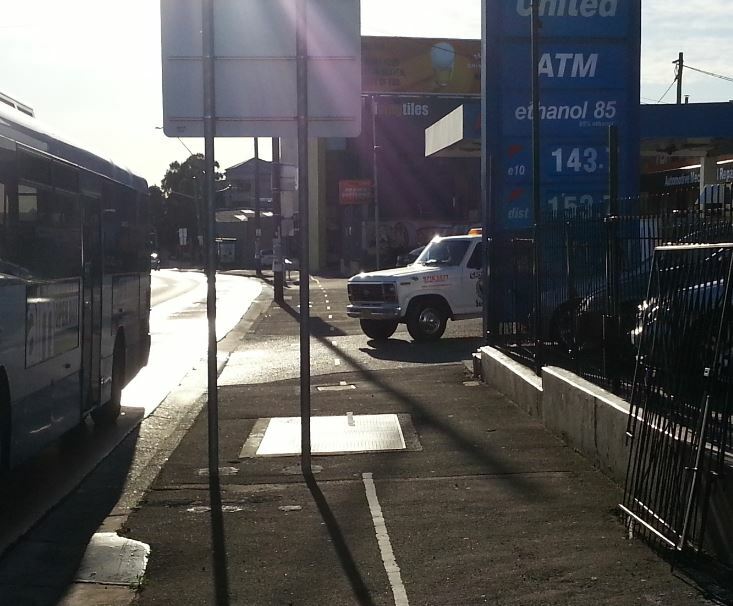 No wonder so many cyclists just (legally) take the bus lane in the mornings. (Its not a 24 hour lane, so in the evening you are mixing it up with more traffic, which is rather less comfortable). Once you have negotiated all that, in fairness it has to be said the path over the new bridge is really quite good – smooth and wide. But how hard would it have been to have made the whole stretch this good? 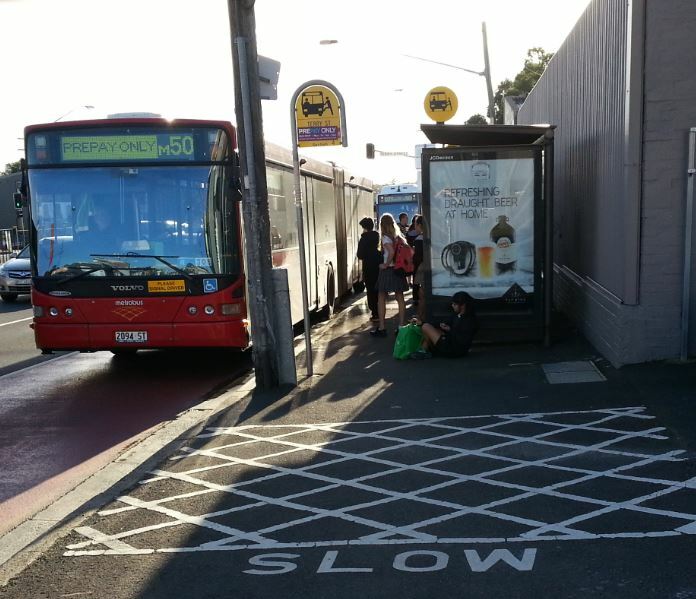 Well, the answer is ‘very easy’ – simply remove one of the many traffic lanes. At peak time, they crawl along at about 10kph anyway, so a bike lane would be a much faster and more efficient way of moving people along this route.